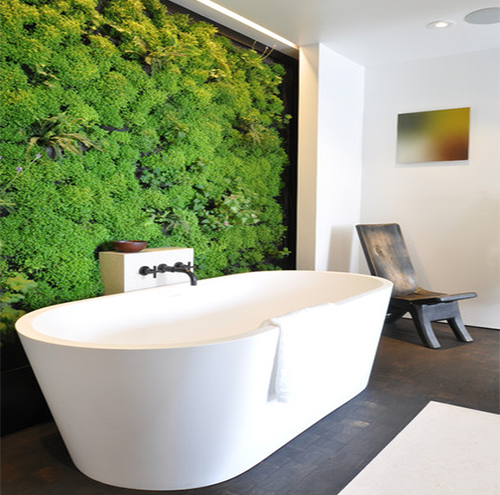 The concept of an indoor Living Wall has become the latest trend among plant lovers. 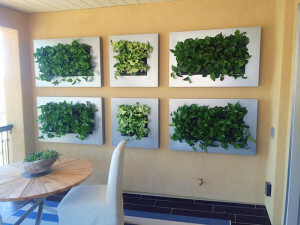 This sustainable innovation is not only attractive but useful by turning a bland space into a decorative focal point. In Las Vegas, keeping your home air conditioned can be costly, but did you know installing a Living Wall acts as a natural air conditioner by balancing humidity levels in the process to keep us comfortable? Through a process known as evapotranspiration, the air surrounding the green wall is naturally cooled. A lesser-known benefit of a Living Wall, is that it reduces background noise. The foliage absorbs and reflects traveling noise, so if there’s a room in your home you want to make as peaceful and relaxing as possible, a Living Wall can help bring a sense of peace and well-being. Excellent for the home or office, a Living Wall can turn any dull and dreary room into an inviting and alluring environment. 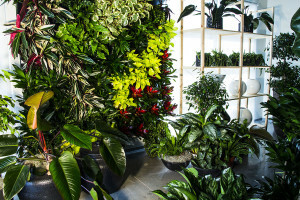 If you have any questions about indoor Living Walls or if you would like some tips on creating the perfect indoor garden, connect with our experts at Interior Gardens. We would love to help you find the best plants for your home or office and assist you in transforming your space with professional plant design. 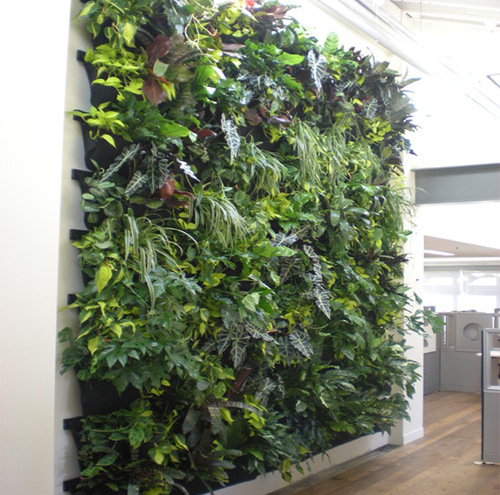 To read more about the benefits of a living wall, click here.